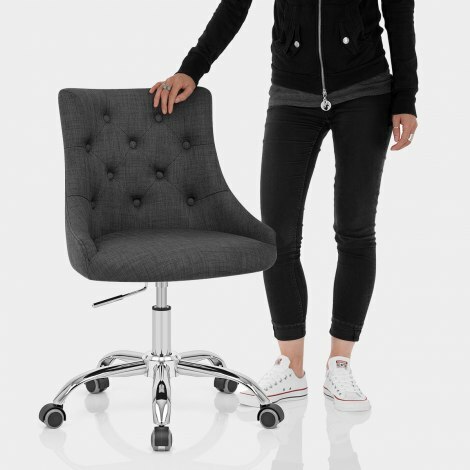 The fabulously styled Sofia Office Chair Charcoal Fabric will enhance your office or bureau, with a luxurious and functional mix that works well in many locations. 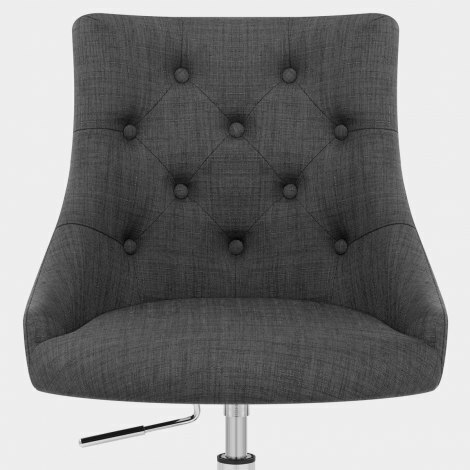 Utterly versatile and equally stylish, the Sofia has the potential to be the best seat in the house. Charcoal fabric covers the seat and is padded in high-density foam, whilst the encompassing back hugs your body for exemplary comfort. Button and stitch detailing adds to the luxurious feel, making this a stately item of furniture. The chrome plated 5-spoke base below has nylon castors for easy movement on all floors. It is affixed to the seat via the gas lift mechanism, which allows you to adjust the height as well as swivel 360-degrees. "Beautiful, very well made chair"
Beautiful, very well made chair, very pleased.